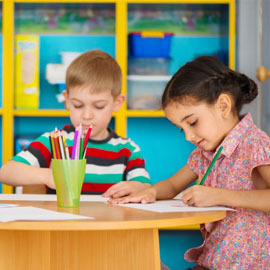 As an early childhood development center, First Class knows a lot about how to begin giving your child the learning skills he/she will need in the future. While you may think that your child doesn’t truly start developing actual learning skills until preschool begins, you would be mistaken. 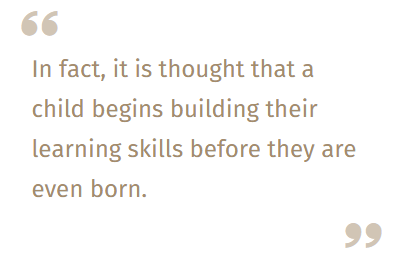 In fact, it is thought that a child begins building their learning skills before they are even born. This is why talking to your child both before and after you give birth is extremely important. Not only will the aid in your child’s communication skills but it will also aid in their overall development, perhaps even putting them leaps and bounds ahead of children their own age once they do begin preschool. 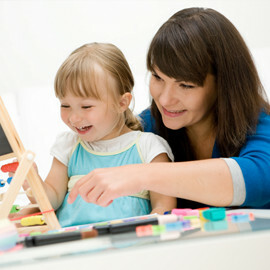 How can you nurture your baby’s early learning skills? Your baby’s ears are working far before your little one ever enters the world. Therefore, it is safe to say that once your baby is born, their ears are ready to listen. All in all, the more you talk to your child, the more your baby will respond to you with their own sounds. When your child is trying to engage with you, be sure to consider your reactions, making them in the line of sight of your child. Also choose topics that will keep your baby engaged. Before and after birth, it is proven that parents who read to their children are far more likely to notice their child grasping communication, as well as reading and writing at younger ages. While you may want to monopolize the conversation, simply because your vocabulary is much larger than that of your child’s, give your baby the chance to respond, even if they don’t know a single word yet. Noises are just as good as words when it comes to an infant. While there are some children’s television shows that encourage your child to interact with the characters, not all TV shows are like this. Television shows that don’t allow a back-and-forth are not very beneficial to your child or his/her communication skills. 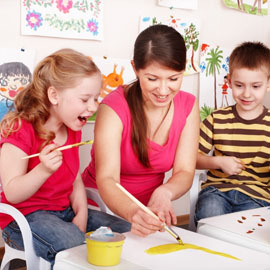 Letting your child interact with adults and other children at their nursery will also be extremely beneficial to your baby. If you want to know what we do to encourage communication skills in the children we teach, call First Class Child Development today and let us answer any questions you may have. We do everything we can to ensure that the children in our nursery are being nurtured constantly to the best of our ability, while also soaking up as much knowledge as possible. Check back to our blog soon to learn more about how to keep your child engaged with learning no matter how old he/she is.